It is little known, but in 1947, along with India and Pakistan, there almost emerged a third sovereign country: United Bengal. On December 28, Pakistan newspaper Dawn published a somewhat curious bit of news. “UK PM Attlee believed Bengal may opt to be a separate country,” read the headline. As per recently declassified documents, Clement Attlee had briefed the US ambassador in the United Kingdom on June 2, 1947, about the plan to partition India. “A division of Punjab is likely,” said Attlee, but he added there was a “distinct possibility Bengal might decide against partition and against joining either Hindustan or Pakistan”. The news caused some buzz on social media, which is not unexpected: This is a little discussed facet of India’s partition. What Attlee was speaking about was a plan to have not two but three successor states to British India: India, Pakistan and Bengal. Rather than divide Bengal and apportion each half to India and Pakistan, a third option held that Bengal would be kept united and be given the status of a dominion alongside India and Pakistan. As 1946 drew to a close, India was in shreds. The British were desperate to leave but, somewhat tragicomically after two centuries of colonial occupation, did not know how to. The 1946 Cabinet Mission Plan, a scheme to transfer power to a united India had been rejected by the Congress, wary of how little power it gave the Centre. Some form of partition now seemed to be emerging as a Hobson’s choice. British Bengal roughly consisted of modern-day Bangladesh and the Indian state of West Bengal. Like North India’s Muslims, Hindus in Bengal were wary of the British exiting, leaving them a minority. Since 1937, ever since democratic government had been introduced in the provinces of British India, Muslim-majority Bengal had seen Hindus out of power. Matters were exacerbated by horrific communal rioting in August, 1946, in Kolkata. 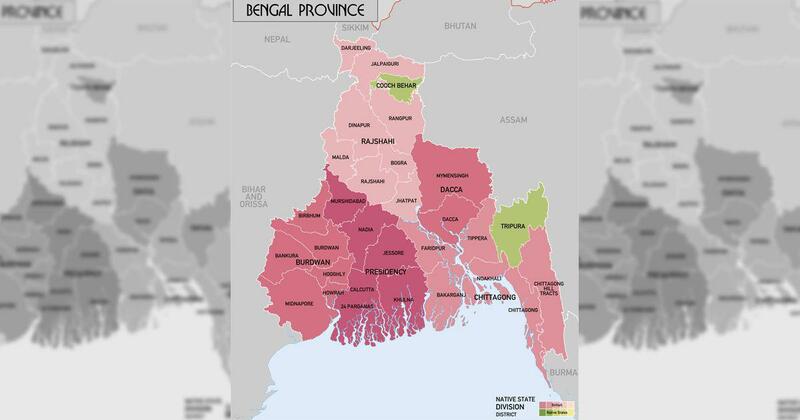 By the end of the year, there was a growing acceptance that, as historian Joya Chatterji wrote, “Bengal must be divided and that Hindus must carve out for themselves a Hindu-majority province”. A Bengal Partition League was set up, but most of the grunt work to prepare public opinion was done by the Bengal Congress as well as the Hindu Mahasabha. As could be expected, there was a distinct geographical split to this demand, with the Hindu-majority western districts and specifically Kolkata most enthusiastic. Also providing crucial support was the city’s Marwari business community. “I am in favour of separation, and I do not think it is impracticable or against the interest of Hindus,” GD Birla said as early as 1942. The campaign was an instant success. A poll in April, 1947, conducted by Amrita Bazar Patrika, a newspaper influential amongst elite Bengali Hindus, saw 98% in favour of Partition. All of 0.6% of respondents supported any scheme for a united Bengal. Apart from an appeal to Bengali exceptionalism, there was also an undercurrent of left-wing populism, with Bengal’s ills being blamed on non-Bengali capitalists. Abul Hashim, the socialist ideologue who was secretary of the Bengal Provincial Muslim League and a strong opponent of Partition argued that “Cent percent alien capital, both Indian and Anglo-American exploiting Bengal…visualise difficulties in a free and united Bengal”. The plan did attract some support. The British saw in it a way to better protect their commercial stakes in Kolkata. 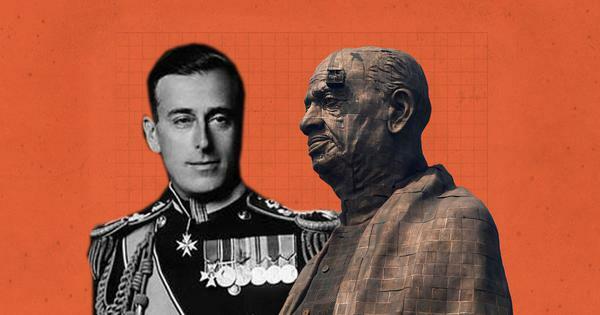 On May 8, 1947, Viceroy Louis Mountbatten cabled the British government with a partition plan that made an exception for Bengal: it was the only province that would be allowed to remain independent should it so chose to. On May 23, in a cabinet meeting Prime Minister Attlee also hoped that Bengal would remain united. However, by far the most-influential supporter of the plan was Sarat Chandra Bose, senior Congressman and elder brother of Subhas Chandra Bose (who was abroad, unreachable – probably dead). On May 20, 1947, a plan for a United Bengal was thrashed out between Suhrawardy and Bose. The proposed country would have joint electorates and universal adult franchise. Hindus and Muslims would have equal quotas in the military and the police which would be indigenised and “manned by Bengalis”. A Hindu-Muslim coalition government would be set up with parity between the communities in the cabinet. The prime minister would be Muslim and the home minister a Hindu. The plan was made public on May 24, 1947, ten days before the final partition plan was announced. MA Jinnah, the leader of the Muslim League, was not averse to the idea since, as he said in his talks with Mountbatten, “What is the use of Bengal without Calcutta”. However, the Bengal Muslim League itself pulled in every direction. A sub-committee set up by the Bengal League to discuss the plan itself saw four out of six oppose a Bengal that was not part of Pakistan. Much of this was split along linguistic lines. While Urdu-speaking Muslims in Bengal did not want Bengal partitioned they also desired union with Pakistan. Muslim Bengalis, on the other hand, were fine with a free Bengal. Similar to Hindu Bengalis, there was also an East-West split. Speaking to Jinnah, one Calcutta League member accused East Bengali Muslims of being “happy to see this partition”. In the Congress, Mohandas Gandhi was an initial supporter of United Bengal but then backtracked given that the Congress Working Committee had “taken him to task for supporting Sarat Babu’s move”. Both Jawaharlal Nehru and Vallabhbhai Patel were implacably opposed to a United Bengal, seeing in it a possibility that every province might get similar ideas. On May 27, Nehru formally announced that the Congress would “agree to Bengal remaining united only if it remains in the [Indian] Union”, leading to Bengal governor Burrows announcing that “Bengal will be sacrificed at the altar of Nehru’s all-India outlook”. Nehru’s opposition to the proposal was enough for Mountbatten to backtrack on pushing the plan any more with London. But Bose did not back down. “It is not a fact that Bengali Hindus unanimously demand partition,” Sarat Bose wrote to Vallabhbhai Patel on May 27, 1947. “The demand for partition is more or less confined to the middle classes”. Bose also pointed out the conundrum of partitioning a region that was as contiguous as the Bengal delta: a West Bengal province would have “only about half of the total Hindu population in Bengal” leaving East Bengali Hindus in the lurch. Sarat Bose’s plan, however, did not attract much backing. Hindu Mahasabha leader SP Mookerjee was not very far off the mark when he wrote to Patel on May 11, saying: “Sarat Babu has no support whatsoever from the Hindus and he does not dare address one single meeting”. Eventually, the United Bengal plan came a cropper. On June 3, 1947, when Mountbatten announced his plan to transfer power to native hands, there were only two contenders: India and Pakistan. Bengal was partitioned, the western part joining the Indian Union and the east, Pakistan. The mass upheavals and the population transfers it caused is still buffeting the politics of Assam. However, Attlee’s prediction wasn’t completely off the mark: within just 24 years of the British transfering power, East Bengal broke from Pakistan to emerge as Bangladesh.